I have been training for a half-marathon using your 12-week program. I will be running my first 10k this weekend. Should I plan to run the 10K in zone 1 or zone 2? Thanks for your question about 10k pace. Good to hear you have been using my Half Marathon Running Program. I hope it prepares you well for your first half marathon. It is a good question, but I will not be able to give you the exact answer. For most people 10k race pace is even faster than tempo pace - zone 3 in "heart rate monitor zone lingo" :). 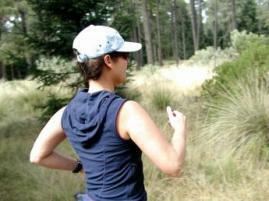 But for beginning runners it can be slower than tempo pace as well. Your tempo pace is the pace you'd be able to run for about an hour. You need to judge your own ability and work out if your 10k pace would have to be faster than that, about that or slower than that. When you do tempo runs, do you know (approximately) how much distance you cover? 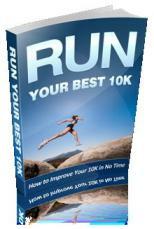 Would 60 minutes of tempo pace get you to do a 10k? If it doesn't then you need to go slower than tempo pace. After all, if after 60 minutes you are finished, but the race is not, then you have got a little problem! If you really can't figure it out, then take a completely other approach: because it is your first race, just go out, enjoy it and run at a fairly easy pace for the first 7k or so. If at that point you still have enough energy and feeling well, then speed up and see what you can do in those last 3k. There is nothing like passing a lot of people in those last few kilometres of your race and have a real strong finish! You then know for your next race that you could possibly be a bit more aggressive in your race approach. But at least your first race leaves a fine after-taste, rather than disappointment because it was a struggle throughout. Hope this helps a little. It is tough to pinpoint race pace for everyone. Next time, try a few goal pace running sessions to work out how fast you should run. Best of luck in your race! Let us know how you went!